Belterra offers comfort and serenity in over 600 guest rooms. Plush and timeless accommodations are the perfect way to unwind after a night of exciting casino action, shopping and some of the best dining in the region. Even better the Indiana Casino Resort is an easy drive from Louisville, Lexington, Cincinnati, and Indianapolis. 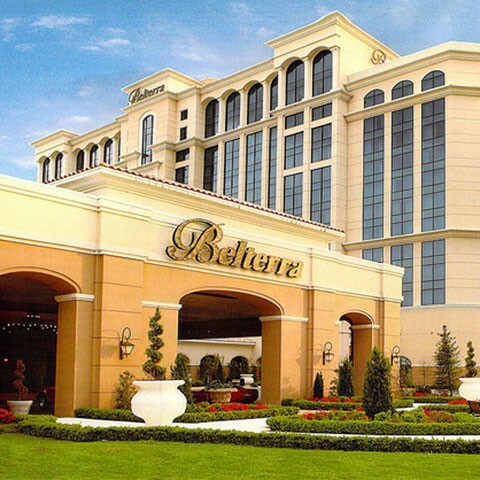 Belterra Casino & Resort is your getaway for relaxation and excitement all in one, it truly is your everyday escape. At Belterra Casino Resort you’ll find over 1,200 of the most fun and exciting slot machines complete with 800 penny games, Video Poker and 2 High Limit slot rooms. Belterra offers a non-smoking section for guests wishing to gamble in a smoke-free atmosphere. Belterra offers over 40 of the most exciting tables games, ranging from classics like Blackjack and Craps to new favorites like Three Card Poker and Let it Ride. Free Bet Blackjack is an exciting new bet only at Belterra Casino Resort and allows you to double down or split for free! You may free split any pairs, except for 10-value cards and free re-splitting is allowed. You may also free double down on any two card hand 9, 10, or 11. Finally, when you make the Push 22 side bet, if the dealer busts with a point total of 22, any bets you have left in action are pushes! Offers excellent variety of massages, body treatments and facials. Full Salon services and Fitness Center.